Fine Gael leader, Taoiseach Leo Varadkar. LABOUR LEADER BRENDAN Howlin TD has written to the Standards in Public Office Commission over the Taoiseach’s new Strategic Communications Unit (SCU). The new unit is under the Department of the Taoiseach and will cost €5 million next year but has been criticised by opposition politicians as a “spin unit”. It’s planned that the new unit will work in tandem with the existing Government Information Service but Howlin has now raised concerns that it may be used inappropriately. In Tuesday’s Budget, the SCU’s €5 million-a-year pricetag was revealed and it the document said that it would “streamline communications” along all government departments. The Government Information Service is staffed by civil servants but questions have been raised about how appointments have been made to the SCU. In the Dáil yesterday, Varadkar said that he had “appointed” John Concannon to the SCU, before correcting himself and saying that he merely asked him was he available. 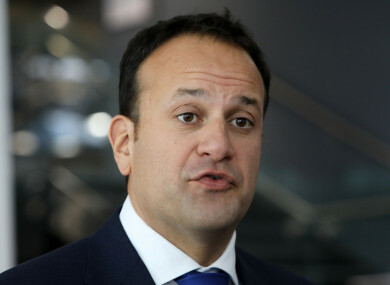 “I discussed it with the Secretary General obviously before I appointed him – or before I asked if he would be available to be appointed,” Varadkar said during Leaders’ Questions. Within the SCU, Concannon works at the assistant secretary grade which commands a salary of between €122,313 and €139,728. In Howlin’s letter to SIPO, the Labour leader makes reference to videos and images of Varadkar and Finance Minister Paschal Donohoe that were released on Budget day. “These advertisements contained only images of the Taoiseach and the Minister of Finance – both Fine Gael ministers and were observed with significant frequency on Facebook, Twitter, and Youtube during the course of yesterday,” Howlin says. This sort of advertising could reasonably be construed as an inappropriate raising of the profiles of office holders. In a statement today, Howlin said he is seeking clarification on whether this advertising amounts to “an improper use of public funds for political ends”. “And secondly, whether the staff recruited to serve in the Strategic Communications Unit have been appropriately recruited under the Public Service Management Act,” the Labour leader said. Email “Brendan Howlin writes to political standards watchdog over Leo Varadkar's 'spin unit' ”. Feedback on “Brendan Howlin writes to political standards watchdog over Leo Varadkar's 'spin unit' ”.